Ever wondered who handles the sale and purchase of properties of transferring employees when a corporation needs them to move for a job? Coldwell Banker is the preferred broker for Cartus Relocation, the largest relocation company in the world. 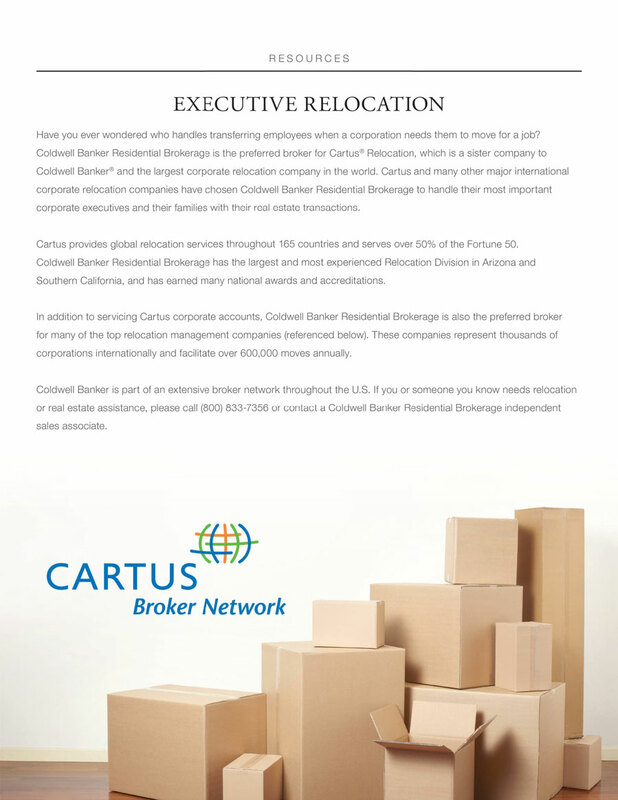 Cartus provides global relocation services throughout 165 countries and serves over 50% of the Fortune 50. In addition to Cartus, Coldwell Banker is also the preferred broker for many other top relocation companies. These companies represent thousands of corporations internationally and facilitate over 600,000 moves annually.